Open world gaming has come along way since its origins in the late Eighties. Now we have such technological games and worlds to explore that gamers can lose themselves for days at a time if they are not careful. A lot of new Massively-Multiplayer Online games now have warnings that display when you first start to play them, to not forget the important things around you and to take breaks occasionally. People get so immersed into these worlds that they become an alternate-reality for some and developers are trying to keep people from completely losing themselves. The first real open world game came out in 1984—Elite, created by David Braben and Ian Bell. Elite put players into a believable open world made from a wire frame. The universe consisted of planets, politics, economies, trade, and space stations to explore. You as the player had the choice of what to do with your main character; you could be a trader or end up on the other side as a pirate. The trade encompassed space combat and a transport system to sell goods. From the sale of these goods players could purchase ship upgrades to make their unique spaceship. Back when Elite came out it was considered a technical innovation, although now gamers have come to expect more from their open world games. Jumping ahead to 1994, a groundbreaking release for open world games comes to the PC. The Elder Scrolls series’ beautiful 3D world sets high standards for other games to come. The series began with Arena and Daggerfall (both now are free downloads from Bethesda’s site), then Morrowind, Oblivion, and now recently Skyrim. Elder Scrolls creates a believable fantasy world where players can “live another life in another world” according to Todd Howard, executive producer for Bethesda. This quote became a motto for some, with people putting hundreds if not thousands of hours into the Elder Scrolls series. Players were able to choose from one of many races to play as and many classes that they felt suit them and their play style. Elder Scrolls has always had an amazing narrative to accompany its gameplay, but the main story wasn’t always the star of the show. As you immerse yourself into the world you feel as if you are a citizen of Tamriel, the vast continent on which the Elder Scrolls series takes place. There is no need to follow the main storyline, instead you can do anything you like–hunt bandits, forage plants, help locals from the bar. The world is yours to play with and do as you like. 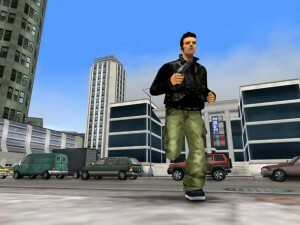 Another notable series, known for its wide open cities to play around in are the Grand Theft Auto games. Cast in the role of a gangster or criminal throughout the series, players are thrown into a fictional city that looks as real as one you could walk around in the real world. GTA has always had players doing missions and side missions for mafia contacts and other shady people, while trying to achieve a personal goal of some kind. With loads of weapons and cars thrown in to the giant cities and hundreds of NPCs walking around at one time, the world is the definition of sandbox gaming. 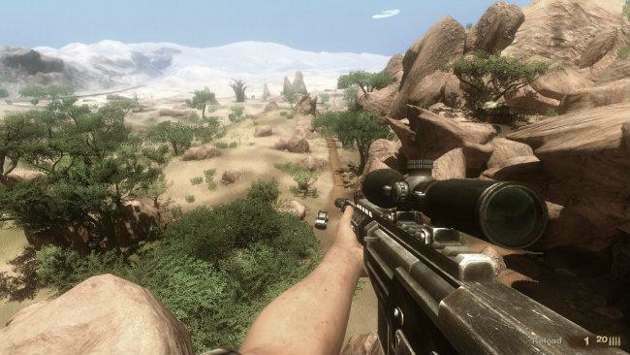 The addition of multiplayer later in the series has given even more life to this open world title. Creative players have come up with their own game mods and even created their own gangs and societies across the multiplayer platform. Despite Grand Theft Auto’s amazing gameplay and features, it has been widely accused of being the cause for many problems with kids and violence around the world. 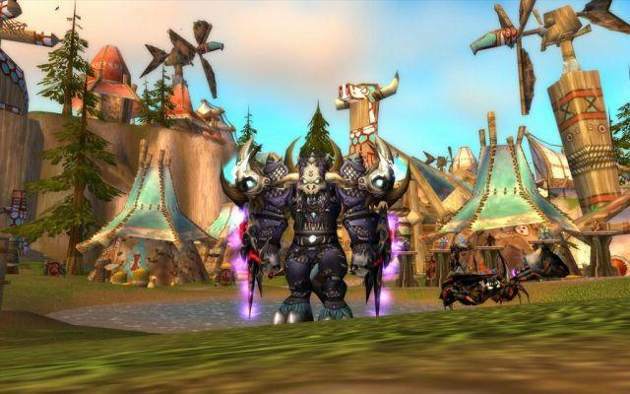 The worlds of Massively-Multiplayer Online games may be the biggest and most immerse of all open world games nowadays, however, with World of Warcraft being the largest among them. WoW currently has a total player count of over nine million, more than New York City’s population. MMO worlds (also referred to as Persistent Online Worlds) are already massive, but the developers devote a lot of time to the game and keep on adding well after release for some titles. Expansion packs and new in-game items add even more playability to the games and along with them bring more new players in all the time. Hundreds of side quests and main story lines abound, along with crafting and cooking and a host of other diversions keep gamers happy and busy within their chosen worlds of play. These games almost always have ways to promote social interaction as well, leading to a lot of friendships and even some marriages in real life with fellow gamers. MMOs create their own cultures and are quite dedicated to their games and lifestyle that has been brought about by it. The open world game sub-genre continues to expand and bring about new features for loving fans. New releases are becoming more and more frequent, instead of the rare gem being produced every now and then. Some notable open world games to keep an eye on are Far Cry 3, Borderlands 2, and Assassins Creed 3. Each one should bring something new to the table, but all of them will have the opportunity of creating a new world for gamers to lose themselves in. Far Cry 3 is adding hunting to the series, Borderlands 2 has billions of different weapons, and Assassins Creed 3 is bringing vast wilderness and ship combat to the series. Open world games can only go up from here, with new features and larger worlds waiting for those looking to “live another life, in another world”. Just don’t forget about all those other beautiful games coming out as well, and your real life–can’t forget about that either. How about you? 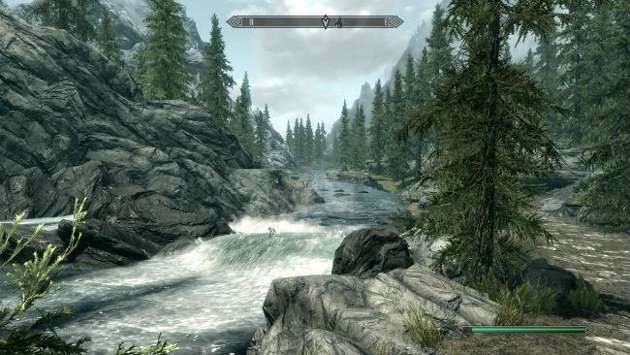 What do you think of open world gaming and which are your favourite games? Let us know your thoughts in the comments below.